Your search has returned 413 results. Save your search - find out immediately when "Stickley" is available at auction! L. & J. G. Stickley Chippendale-style Cherry Slant-lid Desk and Windsor-style Armchair. 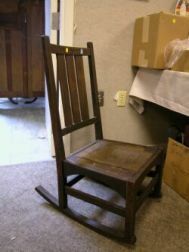 Stickley Oak Vertical Slat-back Arm Rocker. L. & J.G. Stickley Oak Vertical Slat-back Armchair. L. & J.G. Stickley Oak Ladder-back Side Chair. Gustav Stickley Oak H-back Armchair. 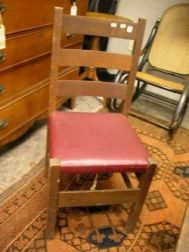 Stickley Oak H-back Sewing Rocker. 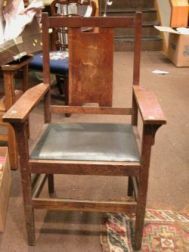 Gustav Stickley Oak Sewing Rocker.